A resident of East Harlem herself, owner, Ms. Guadalupe Castro, has succeeded in her desire to “make East Harlem pretty” with a family-business that serves the community. It was Ms. Castro’s goal to create a beautiful, warm, friendly atmosphere where clients can enjoy the highest level of professional services without pretention. 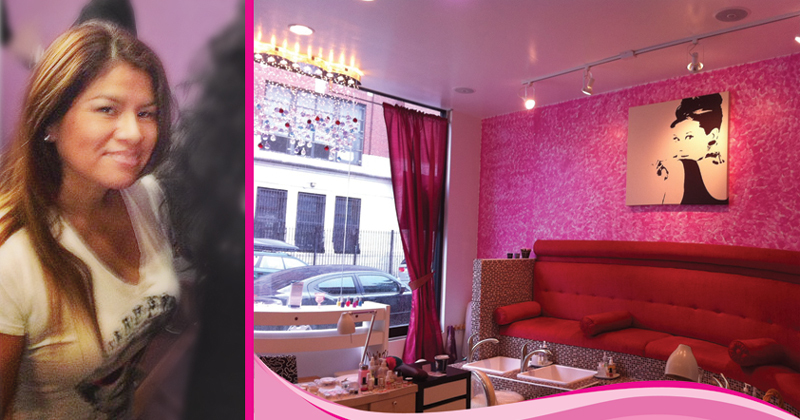 Fierce Spa gives you that “Welcome to the family” feeling. Cleanliness and sanitary conditions are our primary concern along with customer satisfaction. All of our implements are sterilized with the Sterilizer T209 and with Ultronics Instrument Disinfectant and our stations are sanitized after every use. Our technicians are highly-trained professionals who speak English and Spanish and share our “clean-freak” quirk!